An innovative, dynamics, brilliant magic. Characterized by elegance and sobriety. GianLupo performs eclectic shows that can adapt to any situation making it unique and exclusive. GianLupo with a unique and singular style is able to offer high quality entertainment services to your guests. His presence during an event makes everything magical and special. 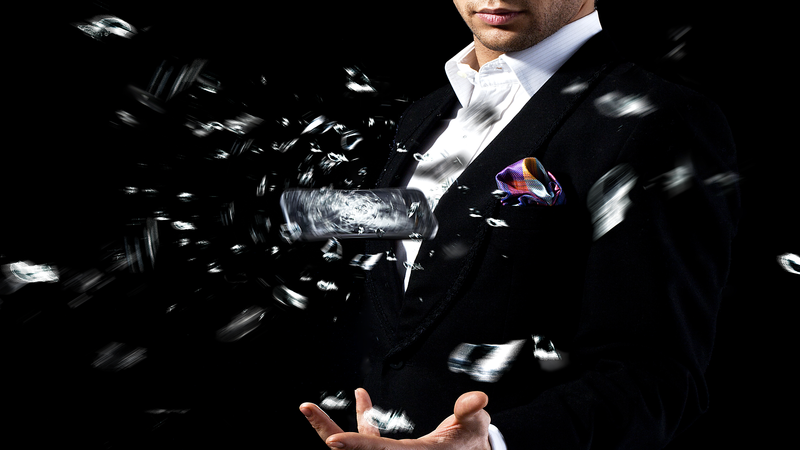 Specialised in Micro Magic, GianLupo’s exclusive performances leave an unforgettable experience to your guests. During a lunch or dinner his soft approach is appreciated for his refined and polite way. Reveal a new product to the public is not always easy. GianLupo and his staff find ad-hoc solutions for every occasion and they can offer impeccable services that match up to your needs. GianLupo performs stage shows for a large audience. A new way to show magic with performances using new technologies. Led screens, video-mapping, laser projections to create breath-taking effects. Unlike traditional magic shows, GianLupo has the opportunity to perform a customized show with the use of your business brand. A real advantage for those who want to give a touch of exclusivity to their event, making a unique and original show, ad-hoc for the occasion. The shows of GianLupo have the distinctive trait to use technological devices to maximize the magic effects. GianLupo shows include screens, video projectors, laser effects, custom video-mapping, tablet and smartphone shows. GianLupo is able to present all performances in Italian and English. At customer's request, in all languages. GianLupo is an international magician working all over the world. His equipment is all protected with Flight Case for intercontinental travel. Do not hesitate to contact GianLupo and his staff. Ask for a free quote for your event. GianLupo and his assistants will formulate a specific offer for your event. Fill the request and you will receive a quickly responce. For immediate feedback contact us by phone.